Yay! 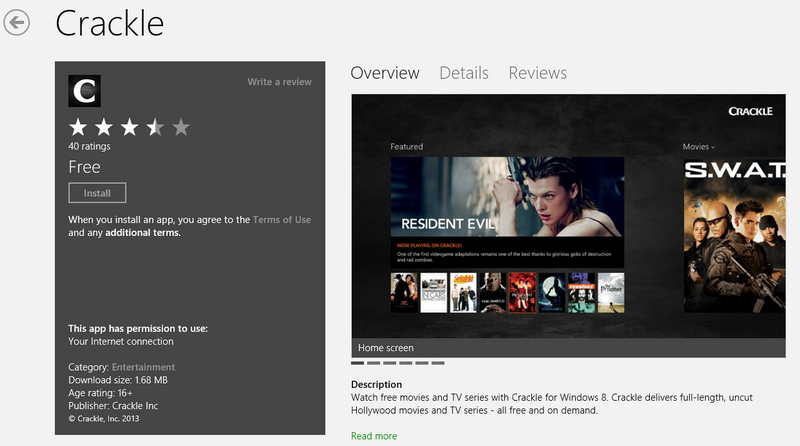 Sony’s Crackle Video is now in the Store! If you’ve owned a Windows Phone you’ll have known this app from Sony Entertainments. This app brings you down the memory lane by featuring some old movies, but sometimes also not so old Movies. You can watch these movies Freely depending on your location services if it is available to your area. And of course these movies are time-limited, so if you really must watch it, make sure you watch it on time before it is taken offline. 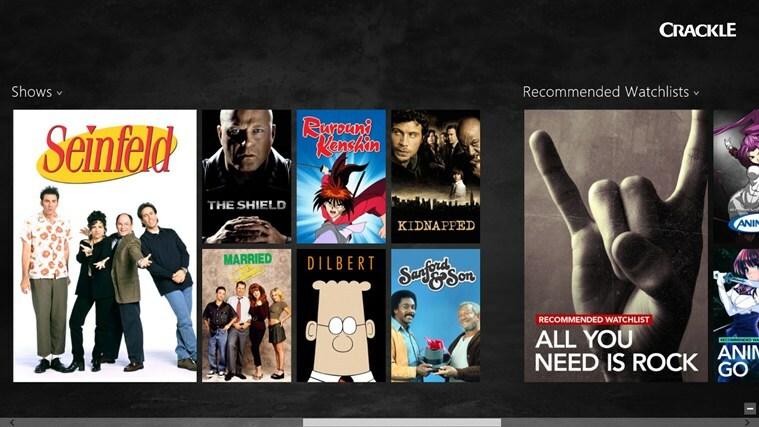 Watch free movies and TV series with Crackle for Windows 8. Crackle delivers full-length, uncut Hollywood movies and TV series – all free and on demand. Crackle is one of the fastest growing digital entertainment networks, offering quality movies and TV series. 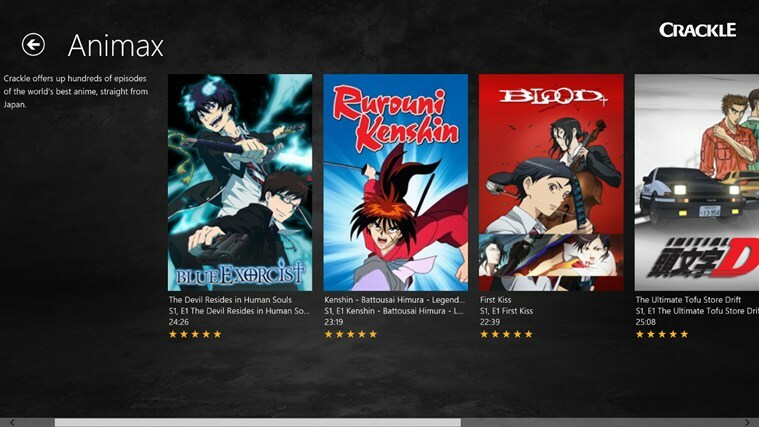 Crackle is available via web, mobile, gaming consoles, connected TVs, and streaming players. I think Sony is seeing the threats of services like Netflix and decided they cannot afford to be left behind, so here is Sony’s solution. The app is enjoying good reviews from the Store at the moment, standing at a rating of 3.4 which is not bad for a first-timer app. Download the app now via the Windows Store below.